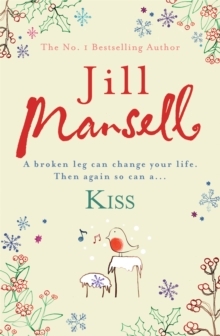 Jill Mansell's irresistibly warm and romantic novel KISS is not to be missed by fans of Lucy Diamond and Jane Green. 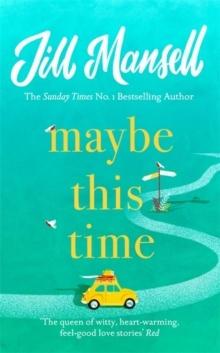 Reviewers love Jill's novels: 'Funny and heartwarming' BellaWhen Izzy is knocked off her motor bike she doesn't just lose her dignity - she loses as a result not one but two long-term boyfriends, her job and, to boot, her extremely bijou flat. Gina, who caused the accident, has more important things to worry about - her husband's mistress is pregnant and she's suddenly on her own. Why should she care about Izzy? 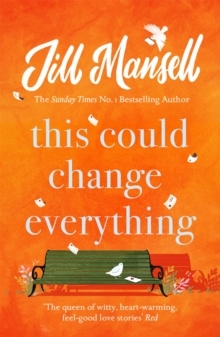 Yet somehow the well-heeled Gina finds herself opening her home to Izzy and her spirited teenage daughter. And it's there that Izzy meets heart-stoppingly handsome Sam, whose lingering kiss is all it takes for her to find the true love that has always eluded her - though there are just a few obstacles between that first kiss and the 'happy ever after'... What readers are saying about Kiss: 'Everything you want in a romantic novel; it has unexpected twists and turns, as well as a mother-daughter relationship that anyone can fall in love with. More than that, it keeps you guessing' Amazon reviewer, 5 stars'A hilariously funny and touching tale of the ups and downs of the optimistic Izzy, her long suffering daughter Kat, their friends and their love lives. 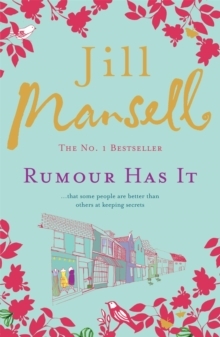 The best Jill Mansell book I have read so far' Amazon reviewer, 5 stars'Jill Mansell has yet again surpassed herself and written a brilliant, addictive until the end read.